Perimeter insulation of foundation slab. 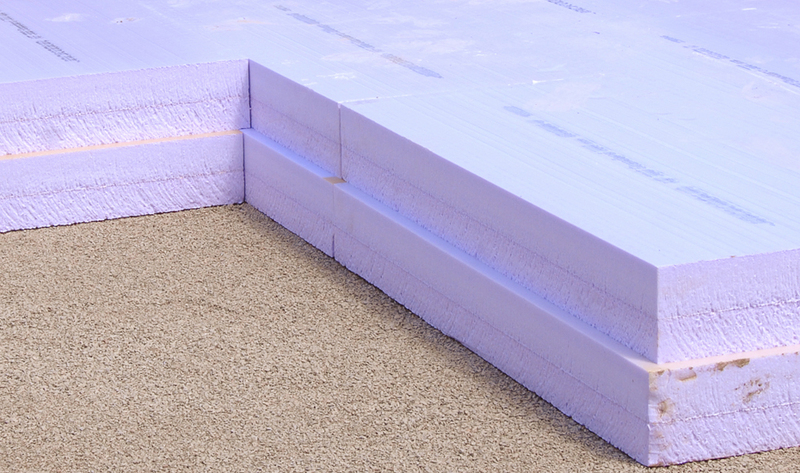 JACKODUR® XPS energy-efficient foundation insulation. Load-bearing thermal insulation under foundation slabs is beneficial with regard to energy saving and specifically in the prevention of thermal bridges. 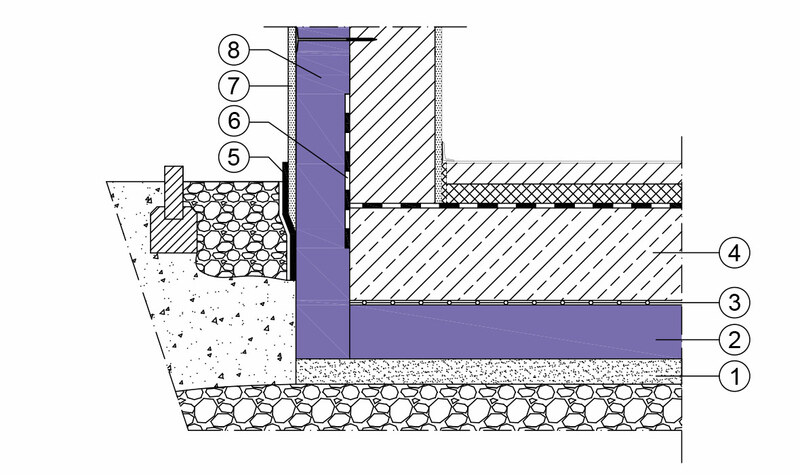 In this application, the loads are transmitted from the building through the thermal insulation into the soil. This means that the decisive criterion in the selection of thermal insulation quality is the existing pressure load. Along with good thermal insulation and sufficient insulation thickness, the essential requirement for a well-insulated building is the prevention of thermal bridges. In order to guarantee this, a seamless insulation layer must be present. The method usually applied to achieve that insulation standard with floor slab insulation today is no longer adequate and/or now becoming very time-consuming and therefore uneconomical, because it inconsistently necessitates more precise work. Gaps in the insulation that cause thermal bridges appear time and again, especially along the outer edge of floor slabs. Those thermal bridges are no longer compatible with the new insulation standards and now inevitably result in complaints. Complex and expensive rework becomes necessary as a consequence. In order to satisfy the stricter requirements while nevertheless retaining the ability to work economically, it is imperative that builders resort, much as other trades have done, to prefabricated systems that systematically prevent these thermal bridges. Made of extruded polystyrene foam (XPS), the JACKODUR Atlas perimeter insulation system combines all the properties expected of such a system. Learn more about JACKODUR Atlas here.